When wearing braces, most people may experience occasional minor discomfort. Left unaddressed, some of these issues could lead to larger problems. Most of these issues can be avoided or remedied through practicing proper oral care at home. However, if any of these problems are persistent, it might be time to make an appointment with our team. When getting used to braces, a period of minor discomfort is to be expected. The new sensation of the metal on your lips, cheeks, and tongue can sometimes cause irritation or soreness. If you have any existing injuries or sores in your mouth, continual contact with your braces might exacerbate the issue and lead to increased discomfort and longer healing times. If you’re experiencing discomfort due to your braces irritating your mouth, there are a couple steps you can take to quickly address it. First, be sure to drink plenty of water, as a dry mouth will only worsen the irritated areas. Second, be sure to exercise proper oral care to limit the chance of food or debris contributing to the irritation. Third wax can be used to cover any parts of your braces that are causing irritation. If the issue persists, schedule an examination with our office today to see how we can help. 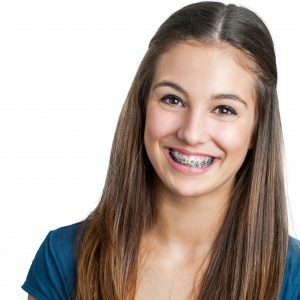 Though your braces are built to withstand daily wear and tear, there’s always a slight chance of damage occurring. The most common issues you might experience are a broken or loose wire or a bracket that has come off your tooth. While neither of these are particularly serious issues, you’ll want to schedule an appoint with us as soon as possible to have them corrected. Your braces can’t work properly if damaged. There is a risk of increased damage if you sustain a mouth injury while wearing braces. It is recommended that you wear a mouth guard when participating in any sort of physical activity to reduce the risk of damage to your lips. Using non-medicinal wax on the parts of your braces that are particularly irritating can also help protect against injury. Many people go through their entire orthodontic treatment without encountering any major issues. However, being aware of the potential problems you might have can help you prepare for them. If you experience any pain or discomfort when wearing braces, don’t hesitate to contact our office.